With the amount of business we have been doing lately, it has been pretty tough to focus on some of the neat developments happening in our industry such as SkullTrail, SBS Cougar, and more. But, every once in a while we get a pleasant surprise such as the one from yesterday. We helped a client move their operations between floors and while waiting for a technician from their ISP to arrive to finish the hookup, we cleaned out some of their "junk" drawers. It was really neat going through all of that stuff. The ISA IDE add-in card with all of its jumpers brought back the excitement of the first generation CD-ROM drives - that were prohibitively expensive - and how much we anticipated the next generation that would run at 2x = 300KB/sec! Those jumpers for IRQs and I/O addresses reminded me of the pain points we would go through to configure a system to run without freezing up when loaded up with a sound card (one of the most contentious of add-in cards), modem for Bulletin Board and/or Internet access (starting out at 300 bits/sec +), high performance 256KB, 512KB, and 1MB (yes ... kilobytes) video cards, and more. Having seen where we have come from, it sure gives a different perspective on where we are now with the hardware and software we work with. There were times where we put huge chunks of time into getting a system configuration working ... most of that playing with jumpers. Then there were huge chunks of time working on drivers and getting them to play nice in the operating system. Then came DOS4GW and the conventional memory game for gamers. Today, unless we are working with Bleeding Edge, things tend to play nice together. The caveat to everything playing nice is cost ... just as it always has been. Buy cheap, and in the end it will cost more due to systems coming back because they run flaky at best, if they ran properly at all before leaving the shop. HP Print Product Authorized? ReSelling HP Print Product? This is for you! 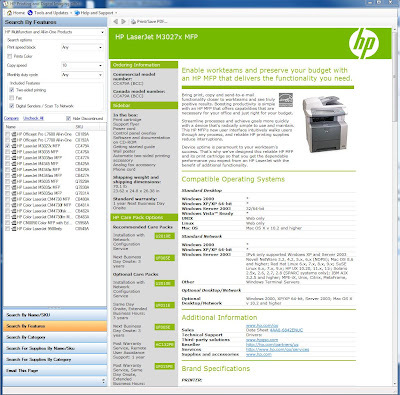 We used to get that very cumbersome HP Resource Guide that provided decent product feature coverage, but lacked on the ability to compare products, or go in depth on product features. HP is now providing an electronic version of the guide that keeps itself up to date on all of the new HP printing technologies as well as maintaining data on all of their existing printing product lines for the last 10 years or so. The eIRG can be downloaded from here: HP IPG Products eIRG Site. Take note of the registration code as you will need it to run the installer and subsequently start the program after the install. 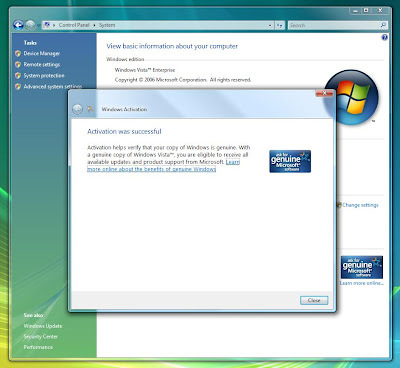 For Windows Vista x86 and x64 users, download the manual install and run that as opposed to the automatic one. 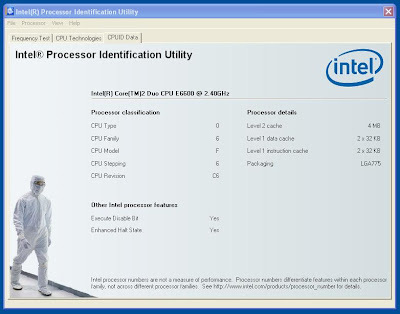 We were successful getting the manual setup to run with no glitches on our Vista x64 installs. You will get an email with the registration code after the first step of registering. So far, this new setup is definitely a step in the right direction! Outlook 2007 RSS Feeds not working ... partial reason found? Outlook's inability to bring in RSS feeds on a regular basis is pretty nuts. The whole process is hit and miss, as it rarely brings feeds down. So far, there is no real indication about what is going on ... at least until this evening. Why is that? Because, the feeds do populate once in a Blue Moon. To the Outlook Team: there is a clue to whatever is broken! UPDATE: Previous post: Outlook 2007 - RSS feeds no longer work ... period! 0xB7AC0008. 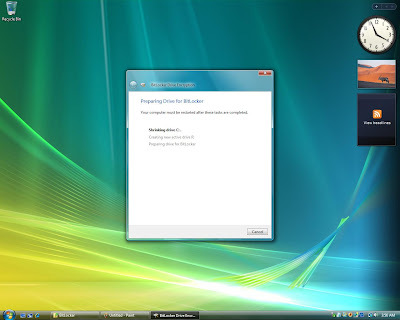 We are working with Windows Vista Enterprise x64 for our training lab systems. Right now, we are creating, modifying, and deploying Windows Vista WIM images via network share to get comfortable with the process. One of the lab systems is in its final resting place, so we went to activate the OS. 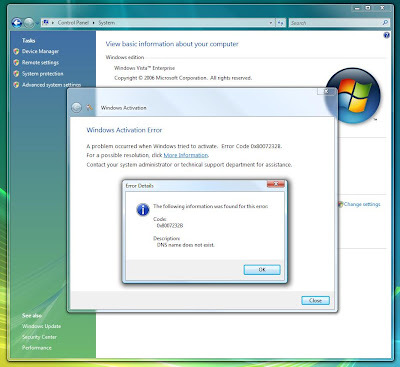 A problem occurred when Windows tried to activate. Error Code 0x8007232B ... DNS name does not exist. The error itself is quite cryptic. Given the mention of DNS, the next step was to watch in ISA to see if indeed there was some sort of blockage happening there. But, we saw absolutely nothing hit ISA when we tried to activate Windows. So, the next step was to confirm that the ISA Client Firewall was installed and configured correctly which it was. 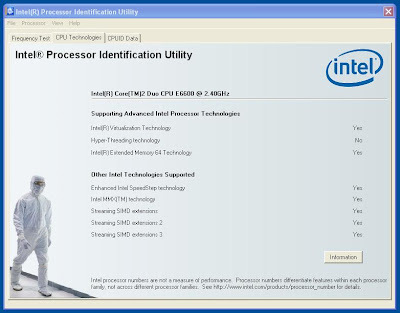 IE showed the correct settings and could browse the Internet with no issues. 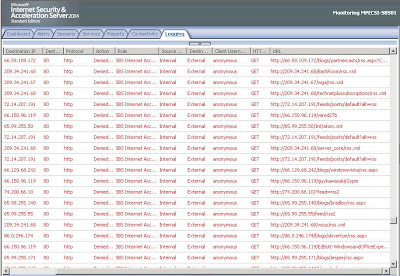 After exploring all of the possible physical connection properties we could, we tried a Live Search: Vista 0x8007232b dns name does not exist. The answer was in the very first hit, a Microsoft Knowledge Base article: KB938107: Error message when you try to activate Windows Vista: "Activation Error: Code 0x8007232b DNS Name does not exist"
As soon as we saw the contents of the KB article, it hit us ... we had setup the WIM image without activating the OS and we were working with Vista Enterprise. There was no MAK entered during the initial setup of the OS we took the image from! We had a couple of HP LaserJet 3390 MFPs sitting on our floor for delivery. The first one went out the door and came back within a day. We talked to our supplier about that, and apparently they are seeing a batch of them come back now. The problem is with a print defect every couple of inches on the page when printed simplex or duplex. So, we are going to take to testing them, including the second one sitting on the floor, before sending them off to delivery. 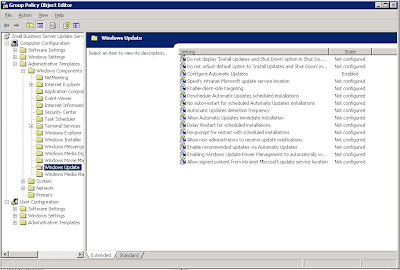 We are in the process of preparing a new client site with an SBS install that will have Windows SharePoint Services (WSS) v3 installed beside the default SBS WSS v2 installation. 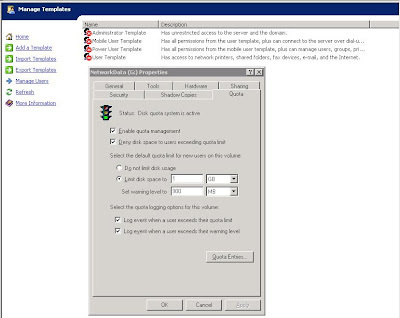 We will be following these guidelines: SBS - Installing SharePoint Services 3 on SBS (previous blog post). Also, there are 40 new application templates available for WSS v3 that give us the ability to customize WSS v3 sites for our clients. 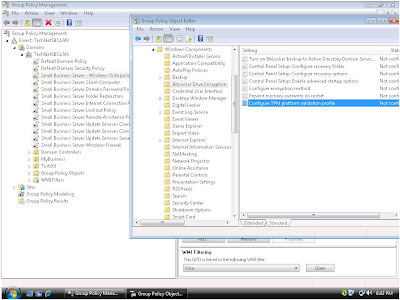 They are available here: Application Templates for Windows SharePoint Services 3.0. For a quick description of the new templates and their features: Descriptions of Application Templates for Windows SharePoint Services 3.0. The primary goal for the WSS v3 site in this case is to replace a huge part of the clunky binder system that is being used for company process manuals with a Wiki site. The binders are very much out of date, and in many instances the contents are no longer applicable. We will facilitate the user's understanding of the wiki site and its use with a couple of half day training sessions. One to train them in the use of the site, and the second to follow up and run through some of the finer aspects of updating and maintaining the site. The goal is to get everyone involved in the upkeep of the wiki based manual, especially the people who do the tasks described therein. In the long run, this will facilitate the accuracy of the contents and provide a simpler employee transition process as knowledge will no longer be lost when an employee leaves. For us, Windows SharePoint Services provides an excellent avenue for providing value added services. When clients see the various possibilities to improve their business processes with WSS based Web sites, they see the long term value of having them setup. 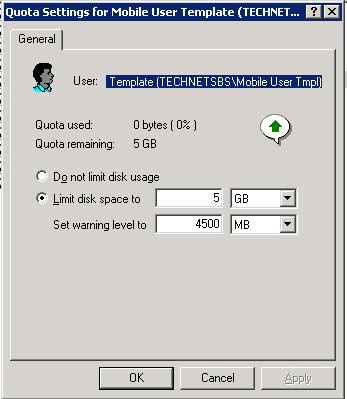 Virtual Server 2K5 R2 SP1 - Error: Microsoft Virtual Server Storage Bus - The parameter is incorrect. In this particular case, we were working with three virtual servers. 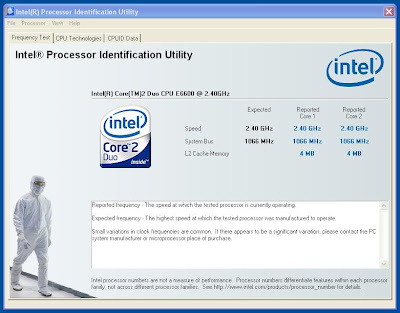 Two are x86 based Xeon setups and one is x64 Xeon Quad Core based. 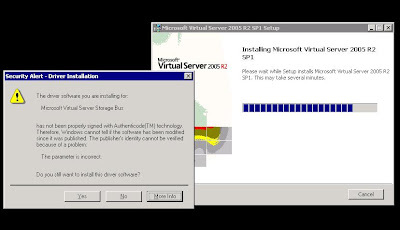 The x86 based Microsoft Virtual Server 2005 R2s took the Service Pack 1 with no issues. Both machines were happy with the update. has not been properly signed with Authenticode(TM) technology. We tried everything we could come up with to get the Service Pack to take. Nothing worked. 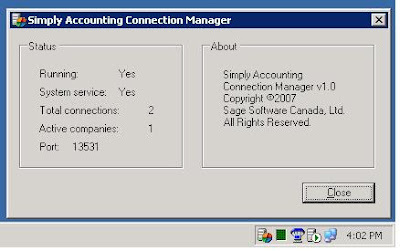 Now, since we did the admin system last, we were stuck as none of the production VMs were online as a result of those systems receiving the Virtual Server SP1 too. 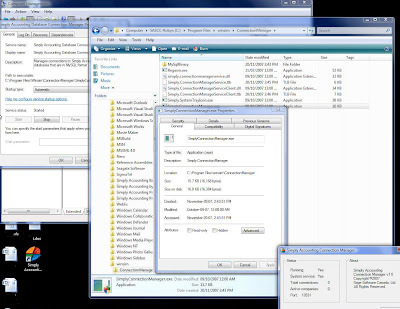 Not even the Virtual Machine Remote Control Client Plus could connect to any of the virtual servers to get those machines started. We were completely stuck. Things would not be so bad if we could find anything relevant on the Internet in relation to this error. But, we hit the brick wall ... and hard. 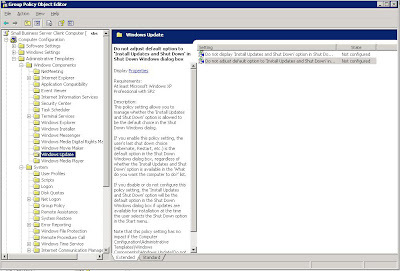 There is seemingly nothing out there about this specific problem applying Virtual Server 2005 R2 Service Pack 1 to an x64 Enterprise based Virtual Server install ... nothing! Since this was a business critical situation, there were production machines down, we needed to call the Partner Support Hotline to take advantage of our Partner Perk of free business critical support. It is not too difficult to get first impressions by the initial steps a remotely connected person goes through. Especially for those of us who have a good chunk of server management under our belts. Vaseem demonstrated an excellent level of knowledge and understanding of the products he was working with: Windows Server 2003 R2 Standard SP2 as the host and Virtual Server 2005 R2 as the virtual server. Even then, it took some time to figure out what the source of the problem was. #W366 ... The parameter is incorrect. 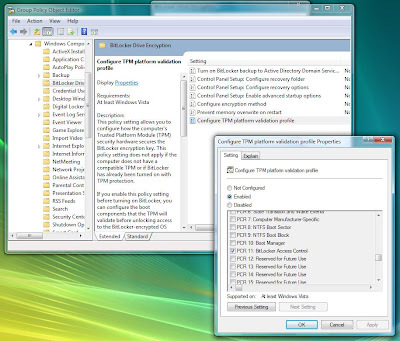 Vaseem ended up uninstalling Virtual Server 2005 R2 Enterprise x64 off of the machine, cleaning out the Program Files directory, he exported the MSVS registry settings then renamed them "settingkeyold". The server was then rebooted. Vaseem then ran the VS 2K5 R2 SP1 install routine again. The error did not return! When the server was rebooted, the host header and ports for the management site were properly set and the SSL certificate was set to the site, we had the Admin site came up. It took some time to get to this point, so before we allowed Vaseem to continue, we fired up the VMs on the other two servers so at least the critical production systems were back online. Since this is a Constrained Delegation setup, we were able to confirm that the setup was still functional when we were able to connect to the other x86 based Virtual Servers. 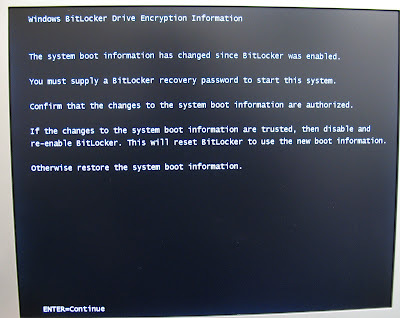 An examination of the directory that Virtual Server installs to showed that the files were all correct, we checked the permissions on the VM folders (in a non-standard location) and they looked correct, and verified the service settings in services.msc. All looked 100%. What ended up being the cause of the VS service falling flat on its face was the registry settings. 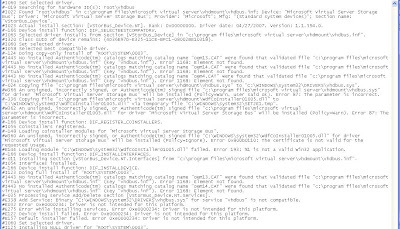 The Virtual Serverold key was still there as Vareem had left it ... but the Virtual Server SP1 install routine failed to create a new Virtual Server key. So, uninstall VS 2K5 R2 SP1, clean out the directories, export the registry keys and this time delete all of them, reboot and reinstall. After the server had rebooted, we made the necessary site port, SSL, host header, and IP settings changes to the VS site in IIS Admin, and we verified connectivity to the site. It worked, and showed all three servers available! Wow! What a lot of work to get things up and running. There are times where we have heard negative things about the over seas crew that Microsoft utilizes for some of their support duties. To date, we have been very fortunate that every time we have had the need to utilize the business critical support, they have come through in Spades. We have a good sized Internet connection here in the office. When we need to download multiple files from various sites, we get caught by the 2 simultaneous download limit ... especially if the delivering site is throttled in some way. 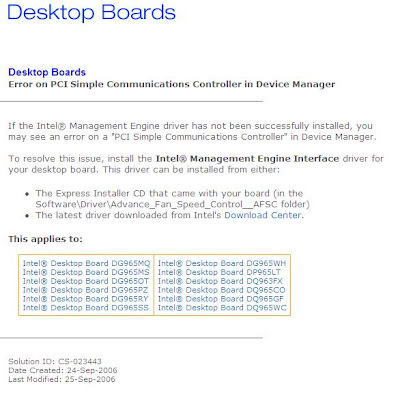 Close any IE windows and restart IE. The limit should be gone. Apparently an employee of Salesforce fell "victim" to a Phishing scheme and gave up the SalesForce.com database info. We have a number of clients that use the service, so we have been warning them to pay particular attention to emails that have seemingly legit personal information in them. As part of our user training regimen, we tend to repeat ourselves to our users, "Never volunteer any information via email or over the phone." This compromise of SalesForce's customer database clearly demonstrates that one needs to be very careful with their personal information. The only time one should be typing information into a form, site, or whatever electronic means, or via phone is when they initiate the whole process from a fresh browser window or by dialing the company's phone number! There are two other aspects to this situation that need to be addressed. The first is that we, the technology support point of contact, need to be aware of the products and services that our clients use. This type of information should be a part of our client audit trail. This will facilitate our being proactive in protecting our client's interests. The second, which is especially true in Canada, is: We need legislation that forces companies to reveal when our information is compromised. Right now companies are terrified of that kind of thing happening. However, the TJ Maxx (Live search) huge compromise demonstrates otherwise. While they experienced a very large dip in business after the compromise announcement, their cash sales jumped, and their business has come back up to previous levels, if not higher. We need to know so that we can take measures to protect our identity! By the way folks, if you haven't already done so, sign up to one of the credit monitoring services provided by the major credit bureaus in your country. In Canada and the U.S. it is Trans Union and Equifax. We get weekly reports generated when ever anything hits our credit profile. It is an effective way to know if someone has your identity and is trying to setup credit in your name. This provides us with an ability to be preemptive if we see bad things happen and mitigate any disastrous circumstances around our credit. When clicking and moving the mouse way too fast ... 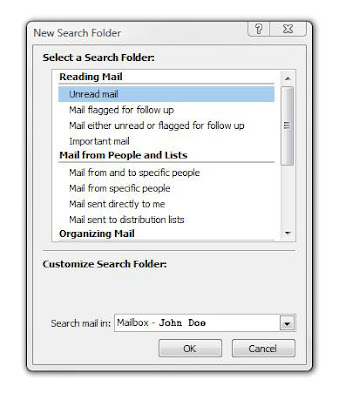 I accidentally deleted the Unread Mail folder out of the "Favorite Folders" list in Outlook 2007. It was deleted out of the Search Folders list too. It did not appear in the Deleted Items folder. It did not appear in the Recover Deleted Items. If you have accidentally deleted a Search Folder, manually re-create it. You cannot restore deleted Search Folders from the Deleted Items folder in Outlook 2007 and in Outlook 2003. Additionally, Search Folders are not recoverable. This means that you cannot recover deleted Search Folders with the Recover Deleted Items feature. We are given a wide variety of variables that we can create at-a-glance queries for. Scroll down to the bottom of the available list and we can create a Custom Search Folder. The search queries can be anything from the person who wrote the item, the size of the item, a date range that items were written in, and a lot more. This little goof up has reaped a neat little bonus. We now know that we can create any type of query when we want to have an at-a-glance list of items in Outlook. While reading through Chris Rea's Blog I noticed the "Label Cloud". Since a label/tag cloud is a good way to indicate what subjects are popular on a blog, it seemed like a good feature to add to this one. It wasn't too difficult to find the Label Cloud code after having a look at Chris' source code. The source code can be found here: phydeaux3: Code for New Blogger Tag Cloud/Label Cloud. The instructions to setup the code in the Blogger template, along with the code itself, are linked in the post. They are pretty straight forward and provide a number of customizations for the look and feel for the Cloud. Check it out if you need a Tag/Label Cloud for your Blogger based blog!